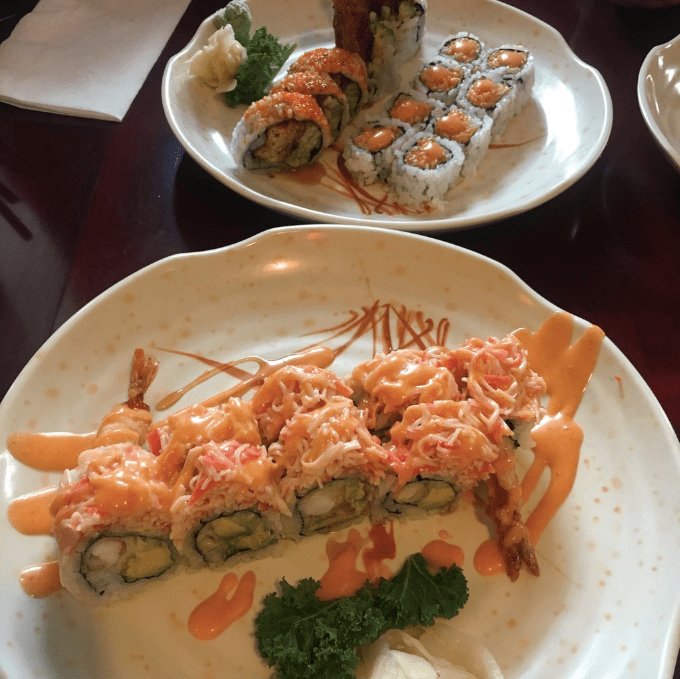 If you’re ever craving sushi or looking to try sushi for the first time, take a trip to Umi Sushi, located at 177-13 Union Tpke, is very close to Thomas Edison High School. With it’s small yet calm vibes that flow throughout this eatery, they offer numerous sushi rolls for a great price and service. You’ll find yourself coming back because they’re just that great. As you enter, you’ll notice that the restaurant is bit cluttered, but with it’s lowlights, and relaxing music playing in the background, the Japanese eatery gives off a tranquil vibe. The most difficult part is ordering the sushi, because there’s so many rolls from which to choose. They each have interesting names, including Red Dragon, Rainbow Roll, Honey River, Yoshi’s Roll.The most popular, however, is the Tokyo Roll that consist of spicy shrimp tempura with avocado and crabmeat. Also a senior, Naimah Khanam mentioned that she’s been going to Umi Sushi since she was in middle school and it’ll always be her favorite sushi spot. She continuously gets the Honey River Roll and Tokyo Roll. Once you try Umi Sushi, you’ll savor the best sushi yet. There’s absolute guarantee you’ll find yourself going back.